Bonus: The calculator (when sold from retail or online stores other than action sites) comes encased in a navy blue Armadillo Gear® case, a very nice case indeed! The main feature and selling point is the calculator’s prompts for many common construction problems. The display is two lines. The top line is solely for prompts and messages. The bottom line has a 4 character space that allows for continuation prompts and message on the left, and numerical results on the right hand of the bottom line. The display is crisp, readable, and of high quality. 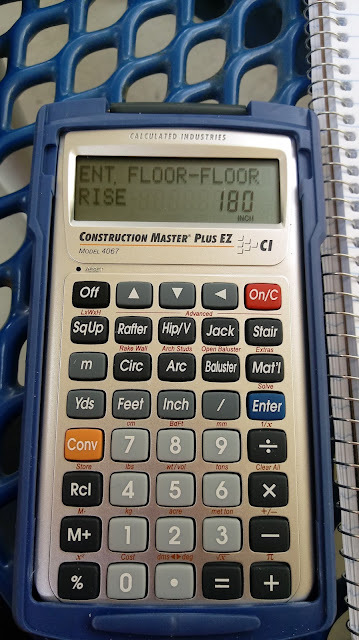 As with all construction calculators from Calculated Industries, you can do arithmetic with yards, feet, inches, and fractions of inches. (and other units). The keyboard is really good. The keys have a tough and rugged feel to them. 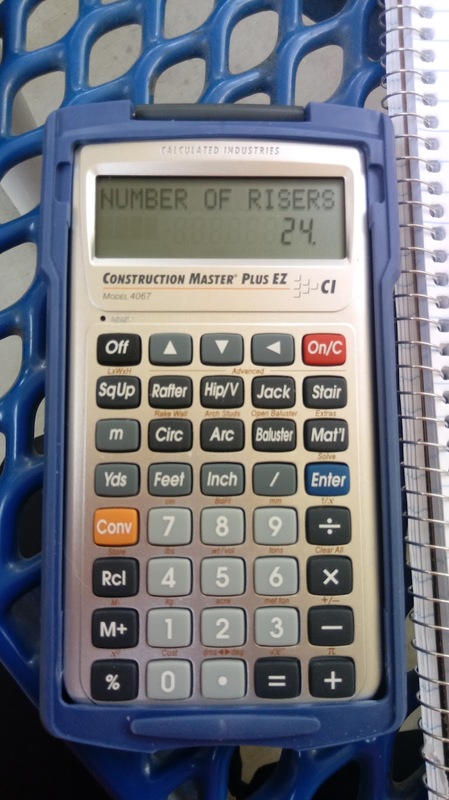 This is also common for all the calculators from Calculated Industries, the keyboards are designed for use in the field. The calculator (in the retail package) has a pocket guide and quick reference guide sticker. The user’s guide can be downloaded, which is a very handy guide because it has all the diagrams. Other user manuals that I recommend looking at for additional examples are the Construction Master 5 User Guide and Construction Master Pro. All the manuals can be found on the Construction Industries website (see link above). Construction Industries has a YouTube page which includes a set of tutorials. The Construction master Plus EZ absolutely gets my recommendation. I like the way the worksheets guide you through each calculation. The keyboard is very pleasant to use.